Destructive crankshaft torsional vibration accelerates the wear of critical engine components. 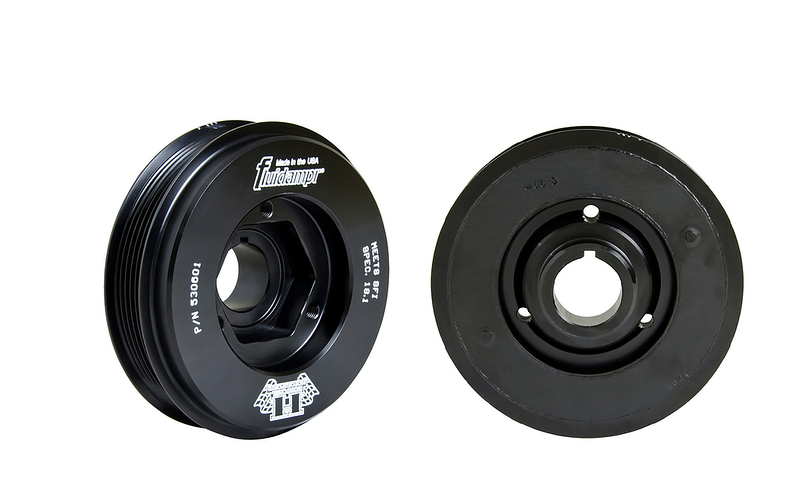 Honda® S2000 owners can now protect their engine, while gaining power, with the latest performance damper from Fluidampr® (part 01, suggested retail $450). Fluidampr protects across a broad frequency band throughout the entire rpm range with a far greater lifespan compared to tuned rubber based designs. Fluidampr performance dampers never need to be tuned or rebuilt. Exceptional crankshaft torsional vibration control throughout entire rpm range. Smoother and increased torque curve. Reduced rotating weight compared to stock harmonic balancer. Easy to install. Accepts Honda OEM style crankshaft pulley tool. 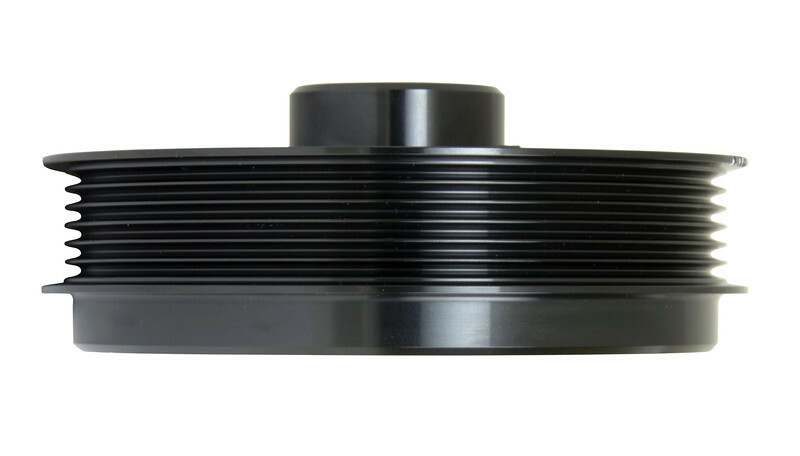 Stock size 6 rib pulley does not overdrive/underdrive accessories. Easy bolt-on of additional accessories or dry sump drives. Features 3 bolt pattern (2.5” circle, M8x1.25 thread pitch). Adapters may be required. 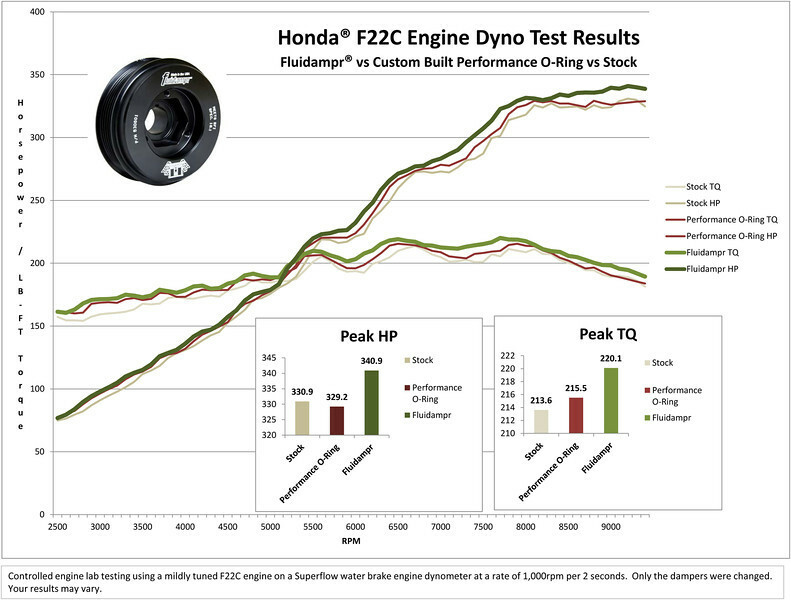 Controlled testing on a mildly tuned F22C engine utilizing a Superflow water brake engine dynamometer, at a rate of 1000rpm per 2 seconds, resulted in an average 9.1hp and 8.2lb-ft gains at the crank over the stock harmonic balancer. In addition, it also indicated an average 5.2hp and 4.2lb-ft gain over the leading custom built performance o-ring damper. Controlled pulls allow torsional vibrations to ‘stack up’ and provide a more accurate test result of a damper’s ability to protect. Application specific, actual performance results may vary. 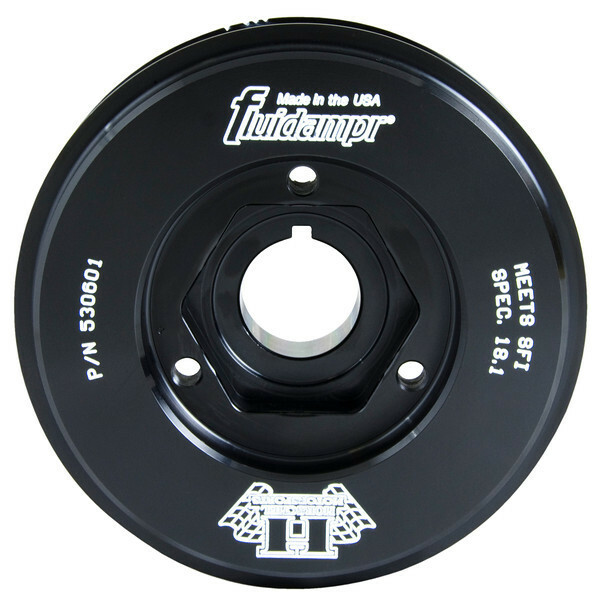 Fluidampr performance dampers feature a corrosion resistant brilliant black zinc chromate finish with engraved timing marks, logos and SFI 18.1 credentials. Made in the USA. ISO 9001:2008 certified. For more information, call (716) 592-1000 or visit www.fluidampr.com.